Your children are your heart and the idea of battling for custody of them is overwhelming. Child Custody requires smart planning and new ways of thinking. At KJT-Law (a Harnett County Child Custody Lawyer), we will teach you what to do to assist us in obtaining the best possible custody outcome available. You will learn what child custody claims require according to the North Carolina General Statutes and the latest case-law, including the true meanings of terms such as legal custody, joint custody, sole custody, primary physical custody, visitation and the best interest of your children. We will expose you to the various physical custody approaches, so you can choose the one that best meets the needs of your children, then prepare you well for building your evidence around that theme in cases where you must have custody resolved by the decision of a judge. Your anxiety will ease greatly as we walk you through the process and you will begin to relax into once again enjoying your relationship with your children rather than being overwhelmed by a battle with your soon-to-be ex-spouse. You may already have an initial custody order but need to modify it, or, you may need an emergency custody order or temporary custody order until you can obtain a permanent custody order. KJT-Law will carefully lead you through those struggles as well! When you need to relocate, we will help you relocate with your children. If you want to prevent your children from a forced relocation, we know the possible ways to stop the relocation. If you are a third party who knows that a child needs you to obtain custody of him or her, KJT-Law will help you! We help third parties obtain custody of children and we help grandparents obtain grandparent visitation rights, when there is a need for such. We know how to meet the standing requirements so that you can seek custody. 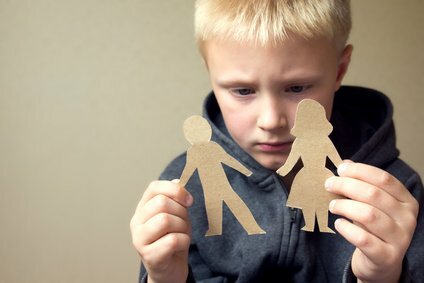 We will help you allege and prove you have a substantial relationship with the child, such as en loco parentis, and that the biological parent(s) has/have acted inconsistently with his/her Constitutionally protected rights to the care, custody and control of his/her child or is/are unfit to have the care, custody and control of his/her child. As a Child Custody Lawyer, KJT-Law has a reputation of getting custody right and we would love to get it for you.